As the sea temperature starts to heat up, so too does the popularity of Mackerel fishing around the UK. Piers, jetties, harbours and rocky outcrops become busy as holidaymakers, families, and sea anglers take advantage of this vital species. It's a fantastic way to enjoy the outdoors and it's great fun for all the family - especially when the weather is good. 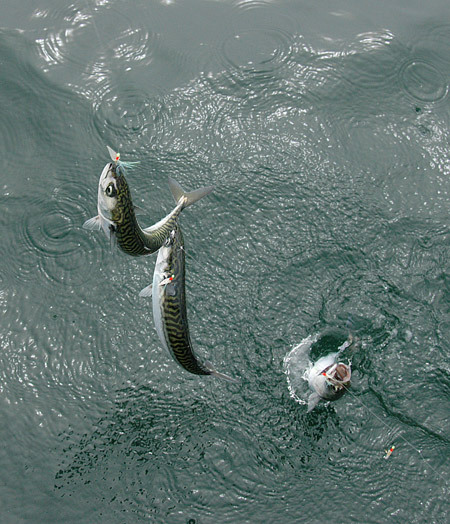 Mackerel is an important species in number of ways. People gain their first experience of angling through Mackerel fishing, and indeed, many anglers' first fish ever caught is a Mackerel. There is a significant boost to the economy as tackle dealers, and charter skippers all benefit from the revenue these fish bring in.  There's also the boost to tourism as families flock to UK coastal areas with campsites, holiday parks, and caravan sites adjacent to excellent Mackerel fishing spots and the opportunity enjoy some fantastic sport. So Mackerel's arrival breathes life into the economy and fishing season. Mackerel are migratory fish and come to the UK in spring and early summer where they will actively feed on small fish and sandeels. From April they arrive in the English Channel, and through May and June, they move up the North Sea and the Irish Sea. However, despite their abundance and widespread distribution, they are not found everywhere. Major estuaries are not as popular due to the silty beds, causing water discolouration. Mackerel are sight feeders and prefer clearer water. It's mainly deepwater piers and rocky shelves that are best Mackerel marks because they allow the angler to reach clear water. Piers, jetties and rocky ledges are also great spots because Mackerel use these features to trap small baitfish. In high summer the Mackerel often come close to the shoreline at dawn or dusk, especially when these times coincide with a high tide. Mackerel can also be found in Scottish sea lochs and inshore waters throughout the UK. Their arrival is very much a topic of conversation with sea anglers and locals. "The Mackerel are not in yet," or, "That's the Mackerel in now," are commonly heard in conversations involving the weather. However, there are signs to look for to confirm this for yourself. Mackerel give away their presence by breaking the surface in pursuit of prey when the swirling shoals are not easy to spot. It's also worth watching Gulls and Gannets diving to the sea, which is a sign of major fish activity. Also, listen out for reports from Charter boats or fishing vessels because you can usually tell if only a few are getting caught or they are 'well and truly in.' When they do arrive, you don't want to miss the opportunity to get out and fish for them. 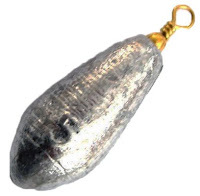 It's a lot of fun and inexpensive in terms of tackle. 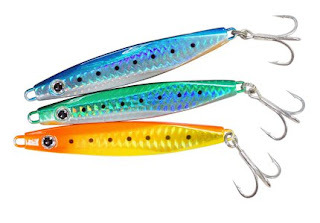 Mackerel are a very easy species to catch because they are adapted to aggressively snap at anything that resembles a small fish and will therefore go for any type of lure you put in front of them. 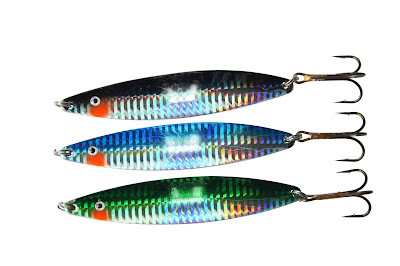 If you are fishing for Mackerel from a pier, rocks or jetty, you can either fish using Mackerel Feathers or Sea Spinning Lures. 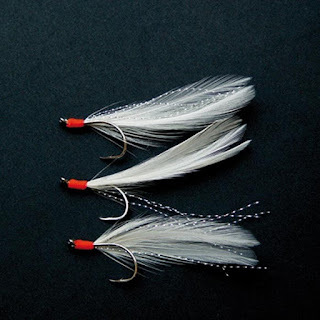 Fishing with feathers simply involves tying one end of your feather rig to your mainline and a 3-4oz lead at the other end of the rig. For example, this can either be an Anchor Swivel Bomb or Anchor Pear Bomb. Essentially anything that will bend your rod sufficiently to allow you a decent casting distance. In both cases, cast out and reel in. You can vary the depth by giving the weight or lure a few seconds to sink first before you start your retrieve. In terms of the retrieve itself, you can try all manner of speeds as well as incorporate a few stops and jerks. In terms of Mackerel Feathers, there is a huge selection to choose from. 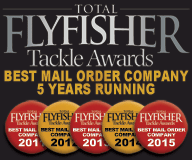 Some of the most popular types include, 3 Hook Hokkai Rig and Shakespeare Mackerel Feathers in coloured or white. Sometimes it can be quite weedy in some areas so it's worth having a selection of feathers at your disposal in case you lose any tackle. 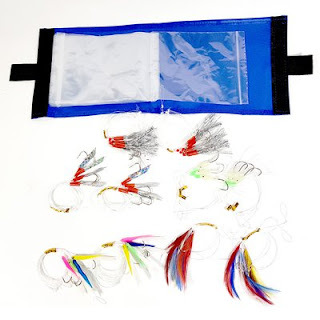 It's also useful to have your rigs stored in such a way that they don't get tangled up with other bits of tackle, therefore having something like a Fisheagle Rig Wallet with 10 Assorted Rigs is perfect. If you opt to fish with a spinner instead of feathers, you don't need any lead weights because the weight of the lure is sufficient to cast. 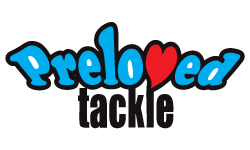 Popular lures for Mackerel include Ron Thompson Herring Jigger, Fisheagle Dexter Flashers, or Ron Thompson Slimline V2 Lures. 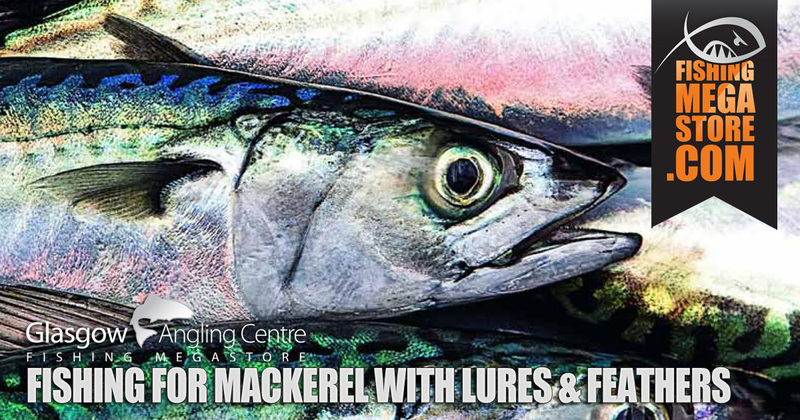 Whether it's with Mackerel feathers or lures, a good quality Spinning Rod with an adequate casting weight to handle the leads or lures you fish with is essential. An excellent rod for this this purpose is the Shakespeare Omni Mackerel Rod. This rod is ideal for beginners and more advanced anglers alike and offers maximum performance at a very reasonable price point. Next in the spinning setup is a fixed spool reel. 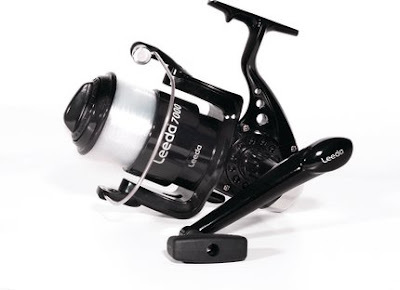 The Leeda Saltwater Spinning Reel perfect for Mackerel spinning is inexpensive and comes pre-loaded with line. It has a smooth drag, 3 ball bearings and has a strong lightweight graphite body. Another great reel that is suitable for spinning with feathers or lures is the Lineaeffe Rapid Bass FD. 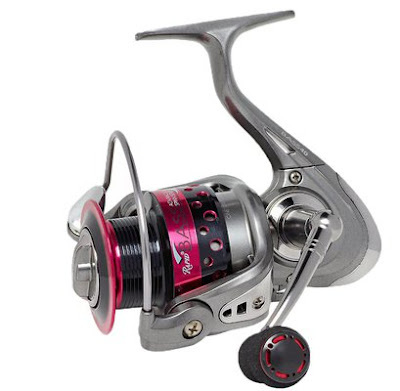 With its ergonomic design, extra large bail arm, and easy-grip EVA foam handle, this saltwater-resistant reel has buckets of power and performance. If you don't want to buy your rod and reel separately, it is worth considering a kit that has everything to get you started. For example, the Shakespeare Catch More Fish Sea Spin Kit has a rod, reel, line, feathers, and weights and is perfect form Mackerel. Another great outfit to get you started is the Shakespeare Firebird Mackerel Kit. 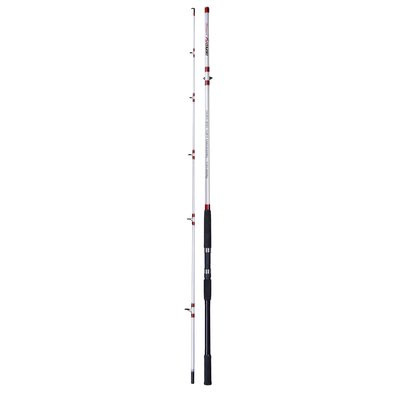 This includes a 2 piece rod and comes with a reel full of 20lb fishing line. Just add some lures, Mackerel feathers, and lead weights and you are ready to go. 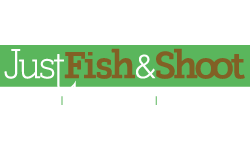 As discussed, by far the most popular and accessible way to fish for Mackerel is from piers, rocks, and jetties. 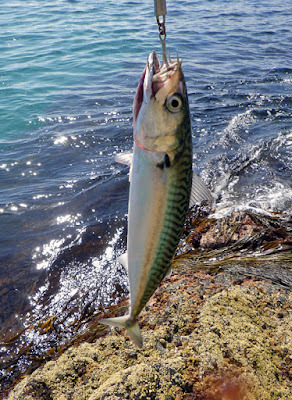 However, you can also fish for Mackerel from charter vessels, fishing boats and casual cruisers inshore using very simple tackle and techniques. 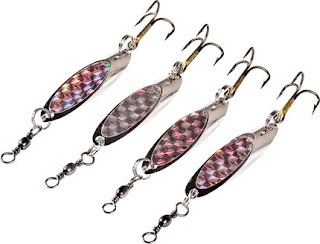 The primary style for Mackerel fishing off a boat is 'jigging' and uses a 20lb-30lb class boat rod, multiplier reel, Mackerel feathers, and 4oz leads. If you need the full monty and don't want to spend too much, then opting for a kit that has everything you need is ideal. 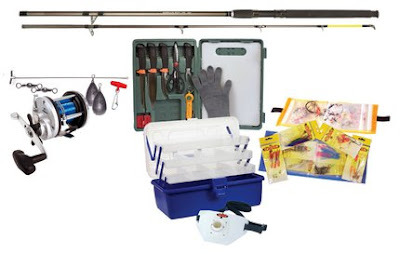 To this end, the Fisheagle Full Monty Boat Combo is very comprehensive and includes a boat rod, multiplier reel, weights, feathers, and loads more. 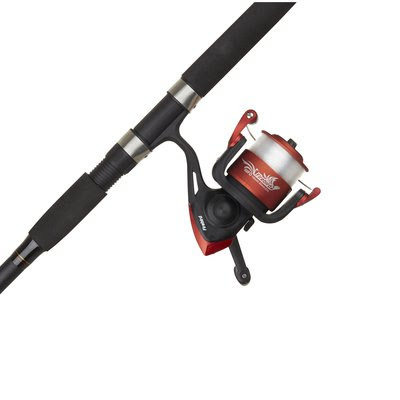 Another great combo that's perfect for inshore Mackerel fishing from a boat is the Shakespeare Firebird Boat Rod Combo. It features a 7ft, 2 piece blank, multiplier reel pre-spooled with 20lb line, and available in either 20-30lb or 12-30lb class. Add to this some Mackerel Feathers and lead weights and you are pretty much sorted. However, if you prefer to buy the items in a boat rod kit separately, the Fisheagle Saracen Boat Rod 7ft, 2pc it perfect for the job. 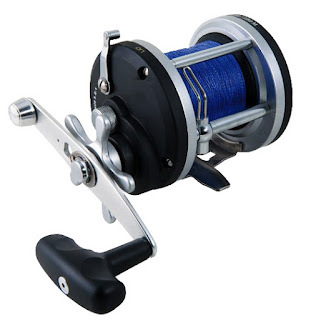 It comes with fully lined guides, dependable screw lock reel seat and is rated 20-30lb class, making it ideal for Mackerel. And to suit the Saracen Boat Rod, the Lineaeffe Multiplier Reel packs enough stopping power to handle anything the water can throw at you, including 3-4 Mackerel hook-ups! As the sea temperature starts to heat up, so too does the popularity of Mackerel fishing around the UK. Whether it's jigging with feathers from a boat or spinning from a pier with a lure, it's great fun and a fantastic way to introduce anyone new to fishing. It also creates great memories for the family and offers a lifetime of fishing adventures ahead.  There are a wide variety of marks around the UK coastline which are accessible and you don't need to break the bank to kit yourself out with a suitable rod, reel and other essentials. So what are you waiting for? Don't miss this abundant period in the sea fishing calendar before the window closes!  Don't forget we have loads more gear for Mackerel fishing at Glasgow Angling Centre and Edinburgh Angling Centre, so why not come and visit us instore today.  Alternatively, you can also call us on 0141 212 8880 where our helpful staff can advise you on the best Mackerel fishing kit for your budget and requirements.